A few new apps have been released for the iPhone the last week or so. The first is Skype. I haven’t used Skype as much as I used to, but I think an iPhone app is a great idea. The only stipulation is, that you can only use Skype for calls when connected to wifi, which I am sure was a requirement of AT&T. The service is great if you don’t have a landline and use your cell phone at home a lot. 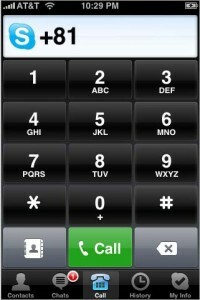 You can get unlimited calls to anywhere in the U.S. for only $2.95 a month! You can also talk to anyone on a computer with the Skype client for free. The call quality is amazing which was the thing that got me hooked on Skype in the first place. The other nice thing with this app is it works on the 2nd generation iPod touch, so now the touch is also a VOIP phone making it closer to an iPhone. 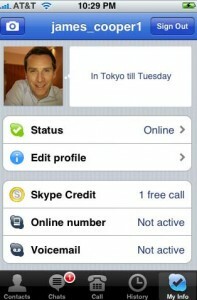 Here are some screenshots of the Skype app. Here are the links to the skype’s website as well as the subscription plans. Now for the fun one. 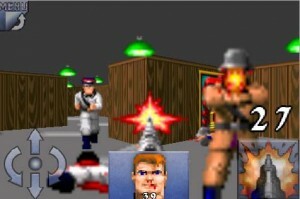 Last week ID released the source code for an iPhone version of Wolfenstein 3D. They also officially released the game in the app store for $5 which isn’t a bad price. Because the source code was released, someone also compiled it themselves and released it on Cydia for free on jailbroken iPhones. I decided to try it for free to give it a try and I am pleasantly surprised at how easy it is to control and use. Wolfenstein is considered the game that really kicked off the first person shooter craze. I used to play it back in the day on our 386 computer running at a whopping 16 mhz. 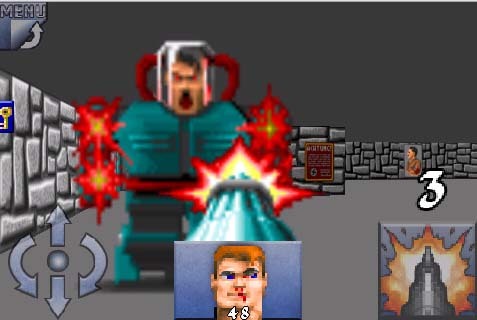 🙂 ID has also stated that they are working on porting the Quake series to the iPhone and I can’t wait to see how they pull those off. 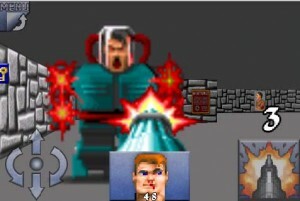 Here are some screenshots from the iPhone version of Wolf 3D. This entry was posted in Apple, Video Gaming by Shawn. Bookmark the permalink.